All trophies acquired. Hats off! 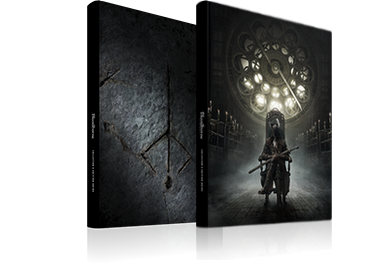 After fighting your way through the Chalice Dungeons, collecting every weapon, and seeing all that the game has to offer on your journey to unlock the other Trophies, when all of it is finally done and that last Trophy unlocks, the coveted Bloodborne Platinum Trophy will also be yours. You lived through the hunt, and saw another day. To unlock this Trophy you will need to choose 'Submit your life" during the final conversation with Gehrman below the Great Tree in the Hunter's Dream. Captivated by the moon presence, you pledge to watch over the hunter's dream. If you 'Refuse' Gehrman's offer when you talk to him, you'll then have to fight him to complete the game, after which this Trophy will unlock. You became an infant Great One, lifting humanity into its next childhood. In order to unlock this Trophy you'll need to acquire and use three One Third of Umbilical items before you start the final conversation with Gehrman at the Great Tree. During the conversation you will need to 'Refuse' his offer again so that you can fight him, after which you will face the Moon Presence, and only after defeating that foe will the ending commence and the Trophy unlock. Defeat Yharnam, Blood Queen of the Old Labyrinth. 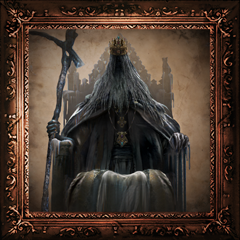 Reaching Yharnam, Pthumerian Queen is no easy task - you'll need to fight your way through nearly all of the fixed Chalice Dungeons to accomplish it. She is located on the final floor of the Pthumeru Ihyll Dungeon, a Depth 5 Dungeon, so it's highly recommended that you take her on in co-op with other Hunters. 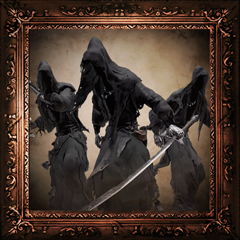 It is possible to obtain this trophy as cooperator (normal & via SRRC) when Yharnam is killed in host's world. Acquire all hunter weapons Acquiring a true hunter's essence takes mastery of the many different weapons available to you. To get started on that path (and to unlock this Trophy), you'll need to obtain all of them. Right Hand Weapons: Saw Cleaver, Saw Spear, Hunter Axe, Threaded Cane, Blade of Mercy, Kirkhammer, Ludwig's Holy Blade, Reiterpallasch, Chikage, Rifle Spear, Stake Driver, Tonitrus, Logarius' Wheel, Beast Claw, Burial Blade. Left Hand Weapons: Hunter Pistol, Hunter Blunderbuss, Repeating Pistol, Ludwig's Rifle, Evelyn, Cannon, Flamesprayer, Rosmarinus, Hunter's Torch, Torch. Acquire a weapon of the highest level. Getting a weapon to +9 is a relatively easy task with the myriad of ways to get Shards, Twin Shards and Chunks, but to reach the fabled heights of +10 you will need a Blood Rock, and they are in extremely short supply. The only guaranteed one that you can find is by going through the Crumbled Wall on the Middle Bridge in Nightmare of Mensis, and then dropping down to the small room below Outside of that one, the only other way to get them is by venturing into Depth 5 randomly generated Root Chalice Dungeons. Acquire an extremely precious blood gem. 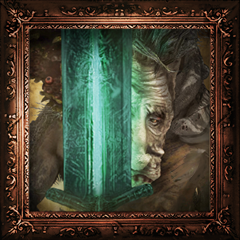 To unlock this Trophy you will need to get a Blood Gem that has a rating of 15 or higher, and the easiest way to get one is to venture into the Chalice Dungeons. The floor bosses of Depth 4 Dungeons can drop Gems of a high enough level, or you can find them from chests/random enemy drops in Depth 5 labyrinths. Alternatively you can find such Gems as lootable treasures in The Old Hunters expansions areas, specifically Research Hall and Fishing Hamlet. Acquire an extremely precious Caryll Rune. If you went to the Healing Church Workshop to get the Communion Caryll Rune, you can follow the hidden path in the elevator shaft there to reach a chest containing a Formless Oedon Caryll Rune Acquiring that Rune that will unlock this Trophy. Gain entry to Cainhurst, the lost and ruined castle. 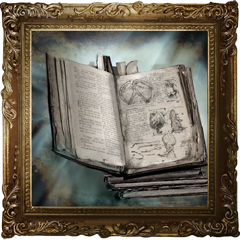 This Trophy will unlock as soon as you enter the Cainhurst Castle Grounds; to get there you will first need to fulfill a couple of requirements. 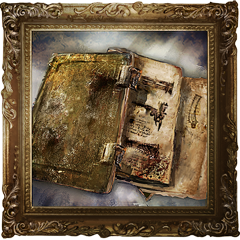 The first thing to obtain is the Cainhurst Summons, which can be found in the 2nd Floor Operating Room within Iosefka's Clinic. To reach that area, enter the Forbidden Woods and progress far enough to access the Subterranean Cave At the back of the Cave is a ladder that you can climb to reach a small graveyard,from which there's a path leading into the Clinic. With the summons in your possession, head to Hemwick Charnel Lane (after killing the Witch of Hemwick) and inspect the Obelisk in the middle of the Execution Grounds to trigger the Cainhurst Carriage event. Board the carriage and you'll have the trophy in no time at all. Gain entry to the realm of the Choir, the high stratum of the Healing Church. To unlock this Trophy you'll need to travel to the Upper Cathedral Ward. To get the key you need to open the door in the Healing Church Workshop, take a trip into Yahar'gul, Unseen Village (Blood Moon). The Upper Cathedral Key can be found in the Holding Cells area of Yahar'gul, and to reach it you'll need to drop down onto the ledge outside from above, so that you can get into the cell. Once you have the key, make your way up the tower in the Healing Church Workshop and open the door to access this area. Discover the abandoned old workshop, the source of the hunter's dream. 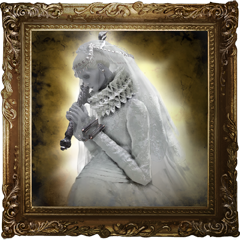 Discovering the source of the dream requires a trip into the Healing Church Workshop, so you won't be able to unlock this Trophy until you have completed Old Yharnam. Once you've finished that area, the door in the Odeon Chapel of Cathedral Ward will open and you can enter the Healing Church Workshop. Make your way around to wooden bridge at the top of the tower's lower section, and then use the ledges there to drop down to where the door is that leads to the Abandoned Old Workshop; the Trophy will unlock as soon as you enter the area. Gain entry into the Byrgenwerth lecture building, that drifts within the realm of nightmare. There are a couple of ways you can unlock this Trophy. It's possible to unlock it late in the game through normal progress - examining the mummy in the room beyond the boss of Yahar'gul, Unseen Village (Blood Moon) will take you to the 2nd floor of this building. Unlocking it earlier requires the Tonsil Stone, which can be obtained by entering the Forbidden Woods so that Patches the Spider takes over the residential NPCs; he'll give you the stone if you talk to any of them. Once you have the stone, return to the Cathedral Ward and go to the room at the end of the cliffs; approach the door at the other end of the room to trigger the False God's attack and let it hit you. Without the stone the attack would kill you, but with it you'll be transported to the 1st floor of the Lecture Building and unlock the Trophy. Defeat the beast that once was Father Gascoigne. To make it out of Central Yharnam and continue your quest to seek the Paleblood you'll need to defeat Father Gascoigne. 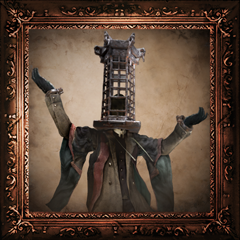 He can be found in the Tomb of Oedon area of Central Yharnam, which you can reach by going along the Canals and across the Lower Bridge; defeat him to unlock this Trophy. Defeat the beast that once was Vicar Amelia. The prayer that Vicar Amelia is offering within the Grand Cathedral will not save her from the hunt this night. Before you can vanquish the beast and unlock this Trophy, you must first open the way to the Grand Cathedral. 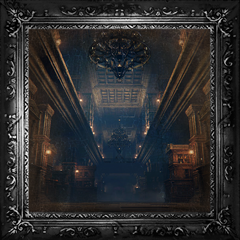 The quickest way to reach Amelia is to kill the Cleric Beast in Central Yharnam to get the Sword Hunter Badge, which will allow you to purchase the Hunter Chief Emblem from the Bath Messenger in the Hunter's Dream With this item in hand you can approach the Plaza Gate and open it to reach the back half of the Cathedral Ward. Alternatively, go to the Lower Chapel in the Cathedral Ward to access Old Yharnam, and after completing that area, enter the now-open door in the Oedon Chapel and go through the Healing Church Workshop. At the end of that area you can drop down to the back half of the Cathedral Ward and reach the stairs that will take you the Grand Cathedral. Defeat the Shadow of Yharnam. After defeating Vicar Amelia, you can inspect the altar at the back of the Grand Cathedral to get the password that will let you access the Forbidden Woods. 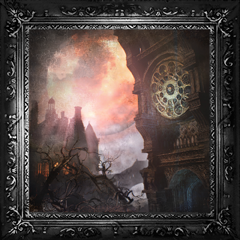 Battle your way through that area and you'll find the mysterious Shadows of Yharnam defending the path to Byrgenwerth with their lives; put an end to them to unlock this Trophy. Defeat Great One: Rom, the Vacuous Spider. 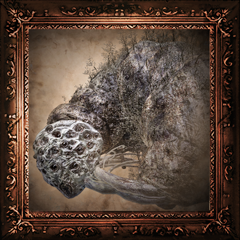 To acquire this Trophy you'll need to face and defeat Rom, the Vacuous Spider, one of the Great Ones. To reach him, enter the Byrgenwerth College Building, and after making your way out onto the Lunarium, dive into his hiding place within the Moonside Lake. Defeat the One Reborn. The One Reborn can be found near the End of The Road in Yahar'gul, Unseen Village (Blood Moon). To reach that area you'll need to go through the suspicious door at the end of the Main Hallway of Lecture Building 2F. This Trophy will unlock as soon as you've defeated him. Defeat Micolash, Host of the Nightmare. 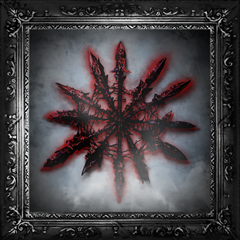 Shortly after crossing the Vertical Lift Bridge in the Nightmare of Mensis, you'll encounter Micolash, Host of the Nightmare; killing him will not only end his dream, but also unlock this Trophy. 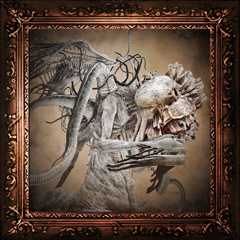 Defeat Great One: Mergo's Wet Nurse. 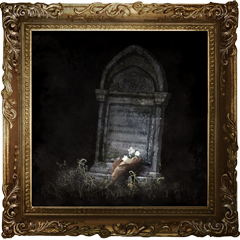 Defeating Mergo's Wet Nurse will put an end to the child's suffering and unlock this Trophy. To reach it you'll need to fight your way up to Mergo's Loft: Rooftops, in the Nightmare of Mensis. and then take the elevator up at the end of the path. Defeat Cleric Beast. 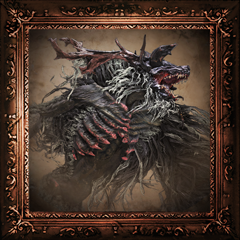 The Cleric Beast can be found at the end of the Great Bridge in Central Yharnam, and is the first boss that you're likely to encounter. While it is technically optional, defeating it will open up some useful features, as well as earn you this Trophy. Defeat Blood-starved Beast. To defeat the Blood-starved beast you'll need to take a trip down to Old Yharnam, which you can do almost immediately after entering the Cathedral Ward. 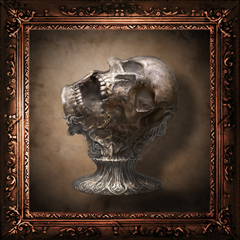 Not only will killing it unlock this Trophy, but you'll also get the Chalice of Pthumeru Trophy for acquiring the Holy Chalice that it drops. Defeat The Witch of Hemwick. If you want to reach the path that leads to Hemwick Charnel Lane where the witch resides, you'll need to first make it to the back of the Cathedral Ward. 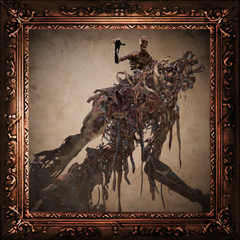 The quickest way is to defeat the Cleric Beast to get the Sword Hunter Badge, which unlocks the Hunter Chief Emblem in the Bath Messenger, and use that to get past the Plaza Gate in the Cathedral Ward. Alternatively, you can complete Old Yharnam to open up the Healing Church Workshop, and then go through that area to reach the ledge at the end; drop down from the ledge to land in the back half of the Cathedral Ward. Once you reach Hemwick, go through the area and kill the Witch at the end to unlock the Trophy. Defeat Darkbeast Paarl. 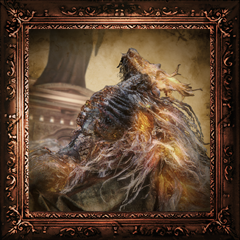 Before you can kill Darkbeast Paarl and unlock this Trophy you'll need to find your way to him, and that means getting into Yahar'gul, Unseen Village. 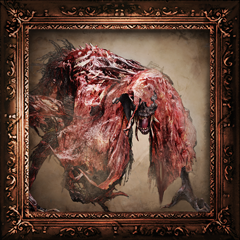 If you want to face this beast as early as possible, you'll need to first defeat the Blood-starved Beast at the end of Old Yharnam so that the Kidnappers begin to appear in various areas. Let yourself get killed by one of these Kidnappers and they'll take you to Yahar'gul, Unseen Village (Evening), and then work your way through the area to face Paarl. Alternatively, you can wait until you reach the area later in the game once the Blood Moon is out; the area will be more difficult at that time, but the fight with Paarl will be much easier due to your increased level. 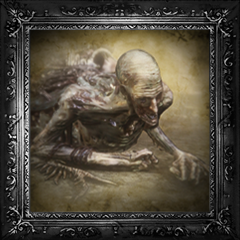 Defeat Great One: Amygdala. 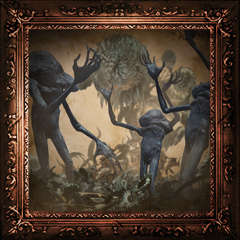 Amygdala can be found at the end of the Nightmare Frontier, an area you'll need to go through the Lecture Building to reach. You can access the 1st floor of the Lecture Building by getting the Tonsil Stone and letting the False God's attack hit you in the room at the end of the Cliffs in the Cathedral Ward. To reach the 2nd floor, you can just progress through the game normally and examine the mummy at the end of Yahar'gul, Unseen Village (Blood Moon). Defeating this boss will also unlock the Chalice of Ailing Loran Trophy for acquiring the Holy Chalice that it drops. Defeat Martyr Logarius. 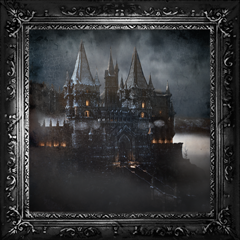 After making your way to Forsaken Cainhurst Castle (see the Cainhurst Trophy), continue through the area and you'll come face-to-face with Martyr Logarius at the end. He's an extremely challenging foe, so be sure to check his strategy section to find out his weaknesses. Defeat Great One: Celestial Emissary. 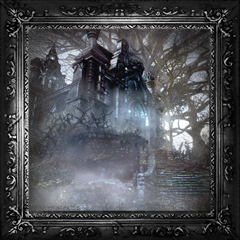 The Celestial Emissary can be found in the Lumenflower Garden area of the Upper Cathedral Ward and you'll unlock the Trophy as soon as you defeat it. Acquire a blood gem that imbues hunter weapons with special strength. To unlock this Trophy you simply need to acquire a Blood Gem of any strength. 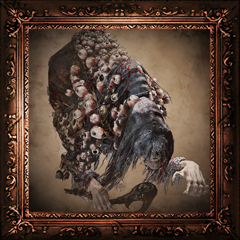 While you may be lucky enough to have one drop from an enemy, the first guaranteed place you can unlock this Trophy is by getting the Tempering Blood Gemstone from the chest at the end of the Yharnam Path in the Cathedral Ward. Acquire a Caryll Rune that endows hunters with special strength. 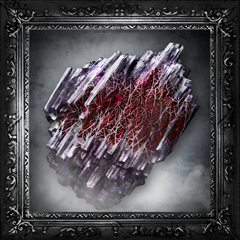 Similar to the Blood Gem Contact Trophy, picking up any level of Caryll Rune will unlock this Trophy. The first place that you can get a Rune will depend on the order you tackle the areas in, but the first ones will generally be either a Communion Caryll Rune just before the Tower Bridge in the Healing Church Workshop, or a Lake one that you can find at the end of the Castle Bluff in Hemwick Charnel Lane. Acquire the Chalice of Pthumeru that seals the catacombs that form a web deep below Yharnam. 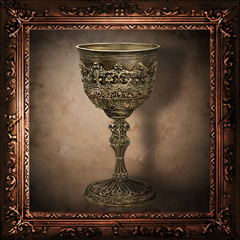 To unlock this Trophy you'll need to obtain the Pthumeru Chalice, which you'll be awarded for defeating the Blood-starved Beast at the end of Old Yharnam. Acquire the Chalice of Ailing Loran that seals the tragic land lost to the sands. 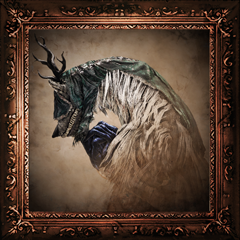 You can obtain the Ailing Loran Chalice to unlock this Trophy by defeating Amygdala at the end of the Nightmare Frontier. 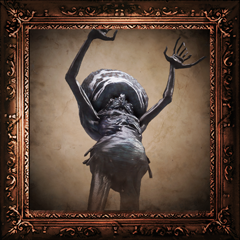 Acquire the Great Chalice of Isz that seals the home of the cosmic kin. 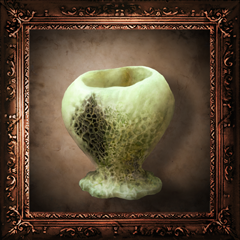 The Great Isz Chalice that you need to unlock this Trophy can be obtained by defeating Ebrietas, Daughter of the Cosmos. You'll find Ebrietas within the Altar of Despair section of the Upper Cathedral Ward. Saw Cleaver Can be selected as one of the starting weapons you get from the Messengers during your first trip to the Hunter's Dream, or can be purchased from the Bath Messengers for 1000 Blood Echoes after obtaining the Saw Hunter Badge. Saw Spear On a corpse hanging in the Dry Dock - Rafters section of Central Yharnam, or can be purchased from the Bath Messenger for 1000 Blood Echoes after obtaining the Saw Hunter Badge. 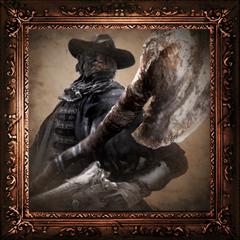 Hunter Axe Can be selected as one of the starting weapons you get from the Messengers during your first trip to the Hunter's Dream, or can be purchased from the Bath Messengers for 1100 Blood Echoes after obtaining the Saw Hunter Badge. Threaded Cane Can be selected as one of the starting weapons you get from the Messengers during your first trip to the Hunter's Dream, or can be purchased from the Bath Messengers for 1100 Blood Echoes after obtaining the Saw Hunter Badge. Blade of Mercy Purchase from the Bath Messenger for 40,000 Blood Echoes after obtaining the Crow Hunter Badge. 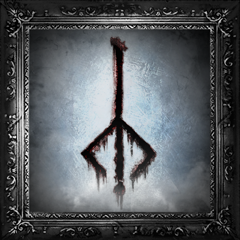 Kirkhammer Purchase from the Bath Messenger for 3000 Blood Echoes after obtaining the Sword Hunter Badge. Ludwig's Holy Blade Purchase from the Bath Messenger for 20,000 Blood Echoes after obtaining the Radiant Sword Hunter Badge. 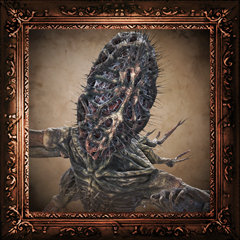 Reiterpallasch Can be found in the Entrance Hall of Forsaken Cainhurst Castle, or purchased from the Bath Messenger for 18,000 Blood Echoes after obtaining the Cainhurst Badge. Chikage Purchase from the Bath Messenger for 50,000 Blood Echoes after obtaining the Cainhurst Badge. Rifle Spear Can be found in the Storage Area of Old Yharnam, or purchased from the Bath Messenger for 4000 Blood Echoes after obtaining the Powder Key Hunter Badge. Stake Driver Purchase from the Bath Messenger for 8000 Blood Echoes after obtaining the Powder Keg Hunter Badge. Tonitrus Can be found at the end of Main Street - West in Yahar'gul, Unseen Village, or purchased from the Bath Messenger for 26,000 Blood Echoes after obtaining the Spark Hunter Badge. 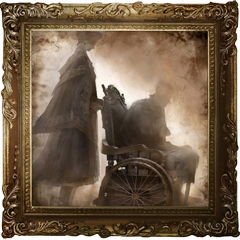 Logarius' Wheel Purchase from the Bath Messenger for 13,000 Blood Echoes after obtaining the Wheel Hunter Badge. Beast Claw Can first be obtained from a chest on Layer 2 of the Ailing Loran Chalice Dungeon. Burial Blade Purchase from the Bath Messenger for 60,000 Blood Echoes after obtaining the Old Hunter Badge. Hunter Pistol Can be selected as one of the starting weapons you get from the Messengers during your first trip to the Hunter's Dream, or can be purchased from the Bath Messengers for 1600 Blood Echoes after obtaining the Saw Hunter Badge. Hunter Blunderbuss Can be selected as one of the starting weapons you get from the Messengers during your first trip to the Hunter's Dream, or can be purchased from the Bath Messengers for 1700 Blood Echoes after obtaining the Saw Hunter Badge. Repeating Pistol Purchase from the Bath Messenger for 3000 Blood Echoes after obtaining the Sword Hunter Badge. Ludwig's Rifle Purchase from the Bath Messenger for 10,000 Blood Echoes after obtaining the Radiant Sword Hunter Badge. Evelyn Can be found in the Library 1F section of Forsaken Cainhurst Castle, or purchased from the Bath Mes¬senger for 16,000 Blood Echoes after obtaining the Cainhurst Badge. Cannon Can be found in the Windmill Cogs area of the Forbidden Woods. Flamesprayer Given as a gift by Gilbert if you speak with him after entering the Oedon Chapel for the first time, or can be purchased from the Bath Messenger for 8000 Blood Echoes after obtaining the Radiant Sword Hunter Badge. 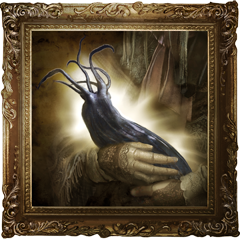 Rosmarinus Purchase from the Bath Messenger for 60,000 Blood Echoes after obtaining the Cosmic Eye Watcher Badge. Hunter's Torch Can be found in the Rooftops area of Old Yharnam. Torch Can be found at the Plaza gate with Huntsman's Minion banging on it in Central Yharnam. Acquire all old hunter weapons. Obtaining a normal Hunter's Essence is no longer considered the pinnacle of what it means to be a true hunter; to reach that lofty goal you'll need to delve deep into the nightmare to experience all that it has to offer - only then can you tap into the Old Hunter's Es­sence. 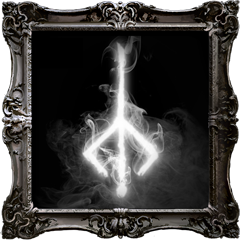 Unlocking this Trophy will require you to fully explore each of the new areas to find all of the hidden weapons, and defeat some of the toughest foes the game has to offer. Right Hand Weapons: Amygdalan Arm, Beasthunter Saif, Beast Cutter, Bloodletter, Boom Hammer, Church Pick, Holy Moonlight Sword, Kos Parasite, Rakuyo, Simon's Bowblade, Whirligig Saw. Left Hand Weapons: Church Cannon, Fist of Gratia, Loch Shield, Piercing Rifle, Gatling Gun. Defeat Great One: Orphan of Kos. Be prepared, plan ahead, and prepare to die... 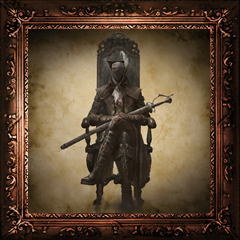 This will be one of the hardest Trophies to earn across both the main game and the Old Hunters. Be patient and learn Kos's patterns. Eventually you will know when to evade, and when to interrupt - bring a very powerful weapon to take full advantage of each opening. 'Orphan of Kos' is a Trophy hard won; only the best hunters will manage it. Defeat the beast that was once Ludwig, the Holy Blade. Ludwig can be a very difficult fight, so it's recommended that you go to the Forbidden Woods and speak with Valtr to join the League and get the Impurity Caryll Rune. With that rune equipped you'll be able to summon Valtr and Younger Twin Madaras to aid you in the boss fight, making it much easier. They will provide a much stronger assistance against Ludwig than Old Hunter Henriett, who can be summoned behind the Nightmare Church. After defeating him, either cleave his remaining head or wear Church Garb and speak to it (answering yes to his question) to receive the Holy Moonlight Sword, which you'll need for the Old Hunter's Essence Trophy. Defeat Lady Maria of the Astral Clocktower. You'll be able to face Lady Maria straight after beating the Living Failures, and she is a powerful and relentless foe. Make sure to bring a left-handed firearm that is good for interrupts, as they'll offer one of the best ways of damaging her. If you have more than one 'Clawmark' Caryll Rune, it's worth stacking them on your character at the Memory Altar in the Hunter's Dream to increase your Visceral Attack damage after an Interrupt. Defeat the failed attempts to become Great Ones. To reach the Living Failures you'll need to make your way to the very top of the Research Hall and activate the staircase mechanism to move the stairs. Only then will you be able to access the door to this boss. If you have killed Yamamura in his cell - thus freeing him from captivity - you will be able to summon him outside the en­trance to the boss area, and he can assist you greatly in this battle. Defeat the beast that was once Laurence, the First Vicar. Before you can face Laurence in battle you must first find his skull, which is well hidden on a secret altar beneath the surgery altar in the Recovery Room. To access the hidden altar you will need to step onto the surgery altar so that it starts to go up, and then quickly run off it so that you land back in the room. Once the elevator comes to a stop the hidden altar will be revealed and you'll be able to recover Laurence's Skull. With the skull in hand you'll be able to initiate the battle with Laurence by returning it to him in the Nightmare Grand Cathedral (which of course is in the Hunter's Nightmare). The mighty Valtr can once again aid you in this battle if you have joined the League and have the Impurity rune equipped - you'll find his summon sign just inside the Cathedral. Beast Cutter On the way up the stairs to the Nightmare Grand Cathedral, you will see two protruding platforms either side of the stairway. Turn onto the left platform, and then drop off the edge to the level below to reach the Beast Cutter on the corpse in front of you. Boom Hammer On the ground floor of the Nightmare Residence by the dead man in the wheelchair. 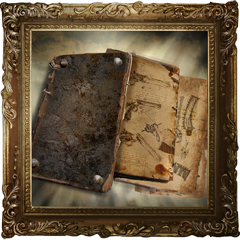 Piercing Rifle Kill the Bestial Hunter in the Hunter's Nightmare for the Firing Hammer Badge, which will allow you to purchase this firearm from the shop in the Hunter's Dream for 20000 Blood Echoes. Gatling Gun Follow the River of Blood into the Beast Cave and kill Djura's Disciple to acquire the Gatling Gun. Amygdalan Arm In the same area where you acquired the Gatling Gun, slay the Blood-starved Beast and his allies before collecting this weapon at the back of his lair. Beasthunter Saif Take the ladder upwards that leads to the Bloody Plaza, then take a left and drop down. Kill the Old Hunter that will attempt to ambush you here then grab this weapon on the nearby overlook. Whirligig Saw You will see this before you can reach it on a large, raised, tombstone just before you ascend the ladder to the Bloody Plaza. Head through the Nightmare Church with the Lamp, then drop down into the Corpse Ravine and fight your way through the crows and Old Hunter to reach this weapon. Holy Moonlight Sword After defeating Ludwig, the Accursed, wear any Church Garb and talk to his surviving head to collect this very powerful blade. Alternately, cleave his head with your weapon to acquire it. Fist of Gratia Approach the Underground Cells from where you fought Ludwig, the Accursed in the Underground Corpse Pile. This weapon can be found in the third cell to your right on the prostrated corpse in corner. Church Cannon Enter the Recovery Room, and then raise the surgery altar to reveal the hidden altar beneath. Pull the nearby lever and step onto the elevator to be taken down to another secret room, where you'll find this weapon in a chest. Loch Shield After raising the staircases with the mechanism at the top of the Research Hall, make your way back down to the Floor 3. Once there you can drop off the ledge outside the Laboratory onto a landing. From that landing follow the stairs down to a small platform, where you'll find this shield on a corpse. Church Pick Use the Underground Cell Key on the cell door to your left in the Underground Cells. It will be the fourth door to your left from where you enter this area via the Underground Corpse Pile, or the second on your right if you are coming down the stairs from the elevator to the Research Hall area. Kill the Hunter lurking here and loot this weapon from his cold, dead hands. Rakuyo Climb down the ladder situated at the well in the Fishing Hamlet. At the bottom there are two Giant Fishman in a large cavern, and the one hanging off the ceiling is holding this weapon. Kill him to take it, but be prepared - one of these enemies is lethal; two will provide a sizable challenge. Simon's Bowblade If you follow the quest of Simon, Seeker of Secrets, you'll find him on the floor of the Lighthouse Hut in the Fishing Hamlet, and he will give you his weapon as he expires with his final breath. Alternatively you can kill him at any point before that if you wish to get the weapon earlier, and you'll still find the Underground Cell Inner Chamber in the Lighthouse Hut when you get there. Bloodletter Take the Underground Cell Inner Chamber Key that The Seeker of Secrets gave you with his last words or you found it in Lighthouse Hut in Fishing Hamlet and head back to the Underground Corpse Pile. Make your way back to the Underground Cells, and then go through the open gate and down the stairs to reach the cell door. Upon entering the cell you'll find Brador sat inside; kill him to get this weapon. Kos Parasite Kill the Orphan of Kos. Upon his demise, he will yield you the Kos Parasite weapon. 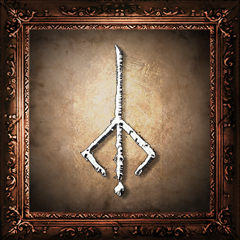 DLC: It's also possible to unlock certain main game trophies within the realms of The Old Hunters. 'Blood Gem Master' can be attained by collecting any of the Warm Blood Gem drops you'll get from killing the Bloodlickers on the River of Blood in the Hunter's Nightmare area. 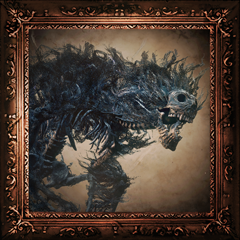 'Rune Master' can be unlocked by collecting the Caryll Rune dropped by Ludwig, the Accursed when you defeat him. The Blood Rock in the Breeding Pit below the Fishing Hamlet provides you with an alternate means of getting a weapon to +10 for the 'Weapon Master' Trophy. Recorded data from PSN trophies change percentages from 6/3/2018 to 3/4/2018 during the month when Bloodborne was free on PSN+, on Bloodborne Trophy Data (March PS+) page.